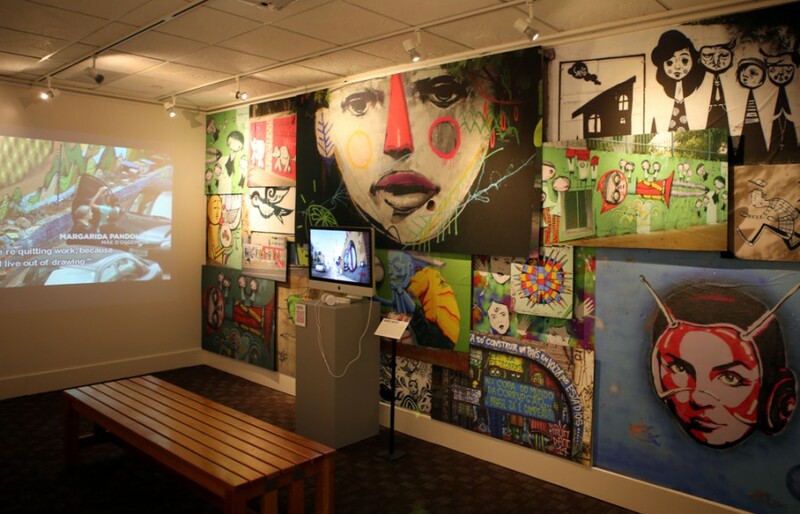 A current art exhibit in the library demonstrates how Brazilian graffiti has established itself as an art form of the people by representing the lower classes and expressing social problems. PROVO, Utah (February 25, 2015)—What images does the word “graffiti” bring to mind? Crude words spray painted on road signs? Messages scribbled on bathroom stalls? Gang names sprawled across overpasses or alleyway walls? Though graffiti is ubiquitous in urban settings, it isn’t always used as vandalism but rather as a means for positive change. For years now, graffiti as an art form has been growing in some of the world’s largest cities. It is increasingly used as a medium for the lower classes, a tool to bring attention to social wrongs and give a voice to the disenfranchised. And no city makes as colorful a canvas as does São Paulo, Brazil. 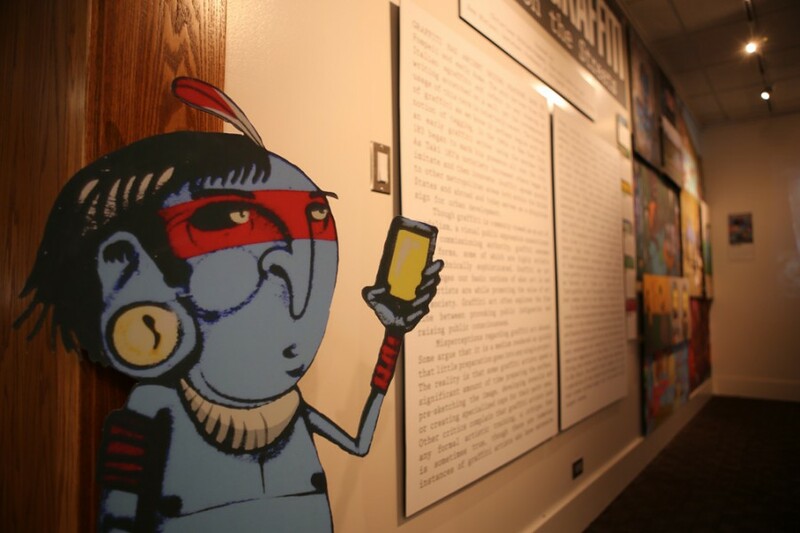 Now, students at Brigham Young University have a window into this Brazilian subculture through Brazilian Graffiti: The New Art on the Streets, a new art exhibit in the Harold B. Lee Library. 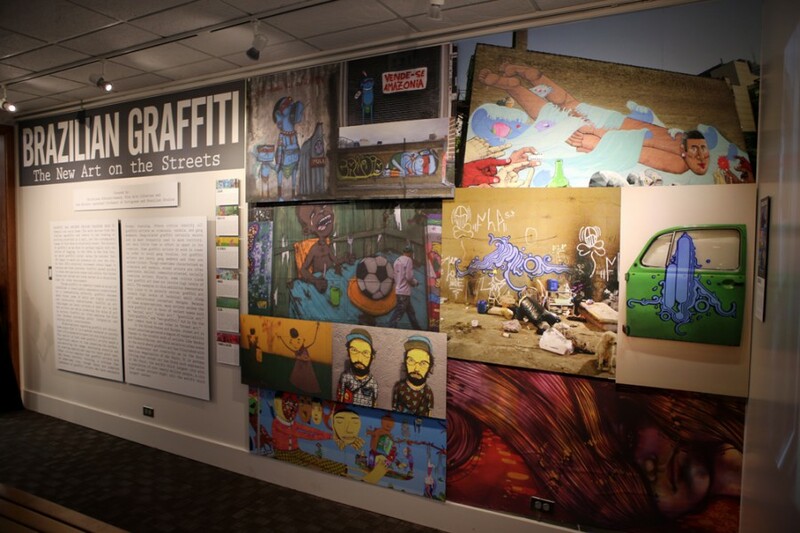 The exhibit features the work of six of Brazil’s most prominent graffiti artists and the issues their art champions. Brazilian graffiti has been a powerful megaphone for these voices, and a global audience heard them last year when they spoke out against the FIFA World Cup. Paulo Ito, one of the exhibit’s featured artists, painted a mural of a starving Brazilian child being fed a soccer ball instead of food, and the image quickly went viral. This image and many others like it appeared as criticism of the Brazilian government and their focus on World Cup promotions at the expense of important welfare and social issues. “The artists were asking, ‘Why are we spending millions on stadiums when we have serious poverty problems and cannot provide basic education?’” Nielson explained. Ultimately, the bill generated so much outrage that massive changes were passed. (The history of the bill and the movement against it is recounted in Cidade Cinza, a documentary directed by Marcelo Mesquita and Guilherme Valiengo and featured in the exhibit.) Today graffiti is a legally protected art form. It is now common practice for building owners to commission artists to paint on their buildings, both as means of beautifying their property and as a protection against “pixação,” or “tagging,” which is text based and still illegal. And as strange as it may seem, the protection works. Though tagging is as rampant in São Paulo as any other major city, it is rare to find it on a graffiti mural, a testament to the love the Brazilian people have for this art form. For more information on current and upcoming art exhibits in the library, visit the Art in the Library webpage.